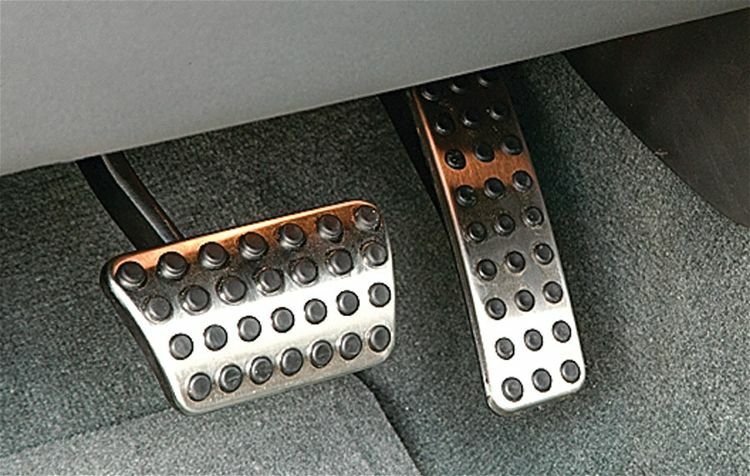 A National Highway Traffic Safety Administration (NHTSA) study's findings about pedal confusion generated a flurry of news stories April 13 2012 after the Associated Press reported that the study concluded 'older female drivers are more likely to have gas pedal accidents'. "Accidents in which drivers mistakenly hit the gas instead of the brake tend to involve older female drivers in parking lots, a new government study has found," reported AP's Joan Lowy. "One of the study’s most striking and consistent findings was that nearly two-thirds of drivers who had such accidents were female. When looking at all crashes, the reverse is true — about 60 percent of drivers involved in crashes are male, the [NHTSA] study noted. Another finding: Gas pedal accidents tend to occur more frequently among drivers over age 76 and under age 20. ..."
Pedal confusion is frequently cited as a factor in news accounts of storefront crashes. Here's the full NHTSA study report (PDF). I couldn't agree more. Most elderly female drivers panic at the immediate thought of a distraught scenario in a parking lot that their reflex tends to go with their right, causing them to hit the gas and not the break pedal. This has been verified countless times as well by my pedestrian accident attorney los angeles in most of the cases that they have handled.